At Flourish, Pilates is more than just a large group fitness class at a gym, where you are just a number. 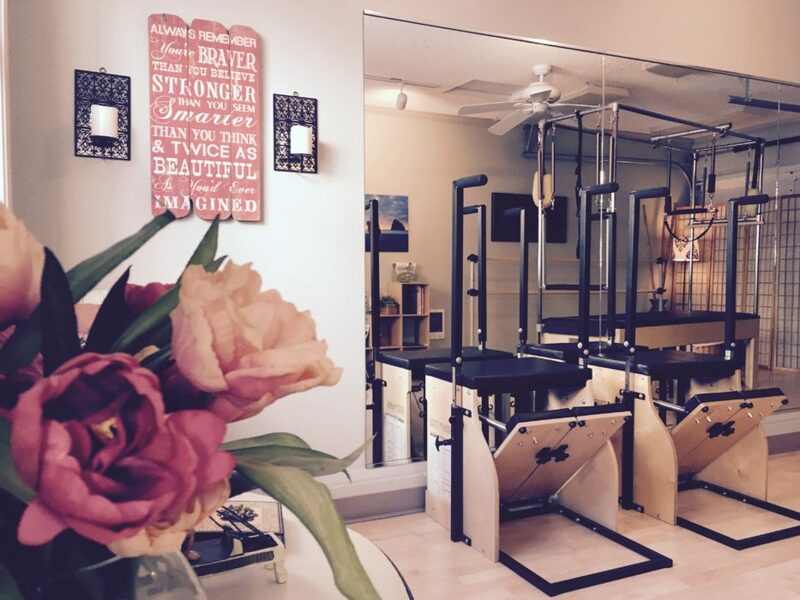 At Flourish, we offer small group training sessions on the Pilates Reformer Machines of up to 6 people, Parent and Child Pilates mat, and Personal Training. Clients can ask questions about form. Owner and STOTT PILATES Certified Pilates Instructor, Clare Baxter, takes time to get to know her students and their back-care needs so they can work collaboratively to help empower themselves inside and outside of class. The extensive instructor training, therapeutic workout, and small class size differentiates us from a large gym. 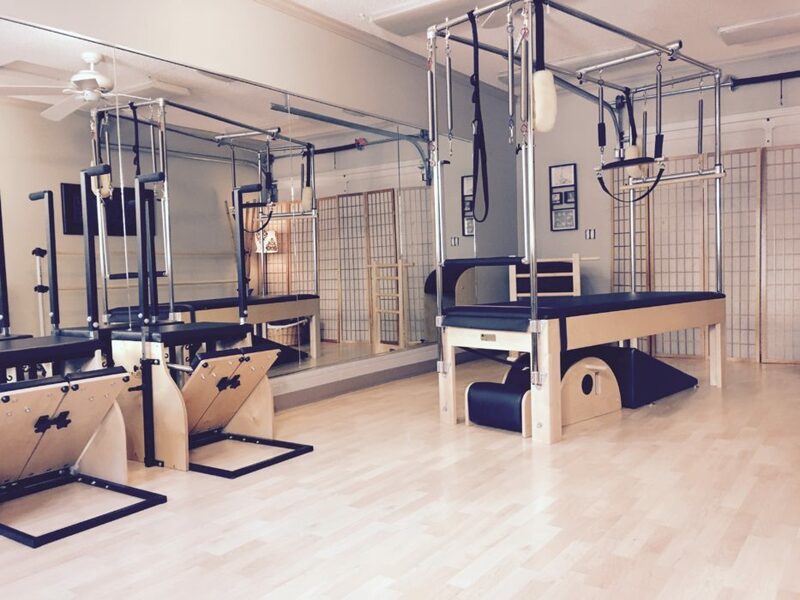 Moreover, STOTT PILATES is a specialized form of Pilates based in physical therapy principles. We strengthen the stabilizing muscles of the joints and spine, while increasing overall strength and flexibility. It’s a great workout too. 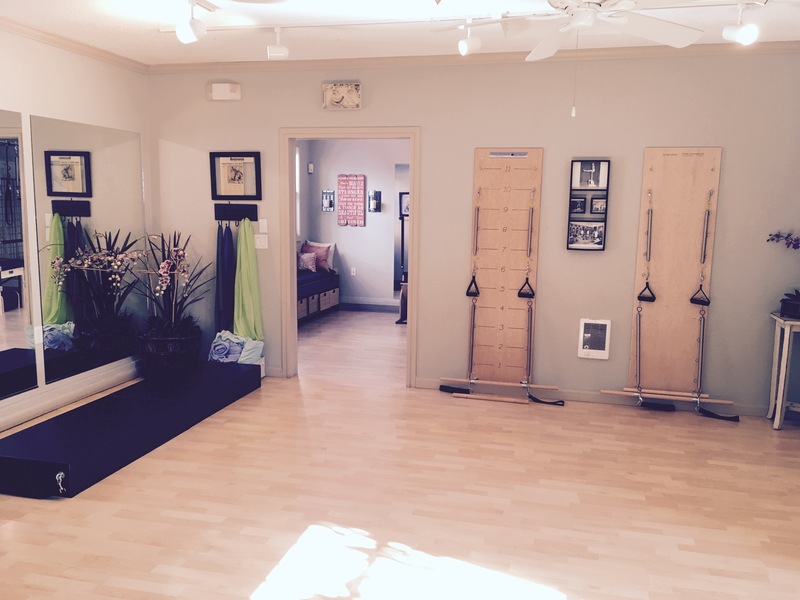 Your first class at Flourish Pilates is FREE! 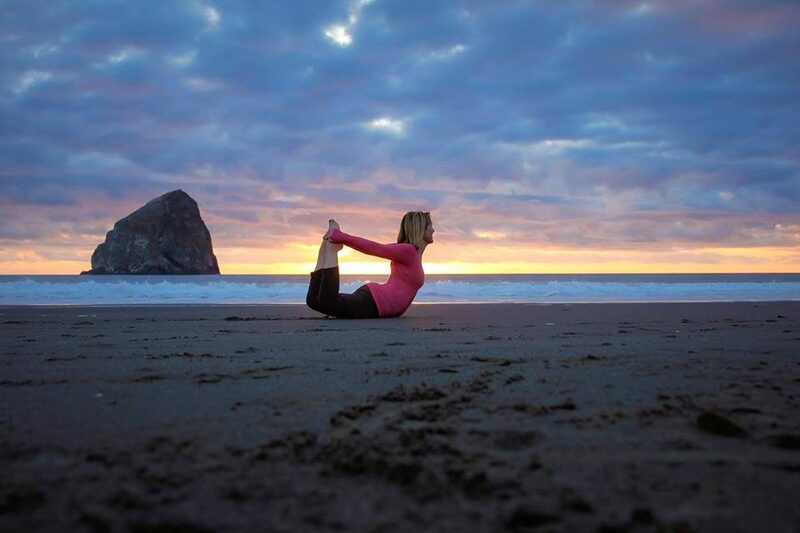 Please call 503-869-8295 or e-mail info@flourishpilates.com for a space. Owner, Clare Baxter, has been teaching Pilates for over 15 years with over 500 hours of Pilates training (not just a weekend workshop like some group fitness instructors). Clare has an extensive fitness background and has taught everything from step-aerobics to cycling classes, but loves Pilates the best. It has been extremely rewarding work for Clare to watch clients gain strength from Pilates. We offer PILATES REFORMER, YOGA on the REFORMER, PILATES MAT classes, Ballet Barre, Princess Pilates (Mommy & Me classes), and PERSONAL TRAINING. Classes are small with around 4-6 people and are like small-group personal training sessions. Clients vary in age from 8 to 80. We offer a warm, welcoming, and relaxing atmosphere in the historic Willamette area. The goal of an on-going STOTT PILATES practice in a small group setting is to help improve posture, balance out the body, achieve good form, and develop proper muscle firing patters. This process is often not intuitive. Starting with Personal Training is ideal, where we can do a postural analysis and identify ways in which STOTT Pilates can help you specifically. After learning the principles of Pilates, many clients find relief. For example many clients no longer have to get routine steroid injections, or visit the chiropractor for back pain. Not only does Pilates help with treating and preventing injury, clients continue to benefit from the many other benefits of an on-going Pilates practice. Pilates can assist with improving flexibility, posture, coordination, balance, lung capacity, toning muscles, and developing core strength. Pilates students gain “core strength” by working the back and abdominals simultaneously. Unlike traditional abdominal exercises such as sit-ups where students work and isolate the rectus abdominus, Pilates engages all of the abdominal and lower back muscles including the transverse abdominus. In order to gain core strength, one must work the transverse, hips, and gluts. Pilates also helps strengthen the stabilizing muscles of the spine, which helps strengthen the back. Flourish Pilates can assist with back-care. Pilates is ideal for both preventing back related injuries and assisting with most back injuries. We practice healthy movements for the spine, and our goal is to restore the natural curves to help us once again achieve “neutral.” Our “neutral” is the most shock-absorbing and pain-free form of posture where the discs between the vertebrae in our back are evenly spaced. This in turn helps us prevent poor posture-related injuries. Flourish Pilates offers a therapeutic approach to Pilates. The owner, Clare Baxter is a fully certified STOTT PILATES Instructor, which is a highly revered certification that requires extensive training and testing to obtain (and not just a weekend work-shop). Clare has been teaching since 1999 and has over 500 hours of training and 15 years of experience. Our class sizes are small (usually around 5 people), which ensures clients receive personalized attention to proper form which is essential to treat and prevent injury. We work the stabilizing muscles and balance out the body so it is the perfect compliment to anaerobic forms of exercise, such as walking. We stretch and strengthen the under-utilized muscles, which in turn improves our posture. The stabilizing muscles are not strengthened in other activities, such as walking, so Pilates helps balance out the body and work muscles that other forms of exercise often neglect. 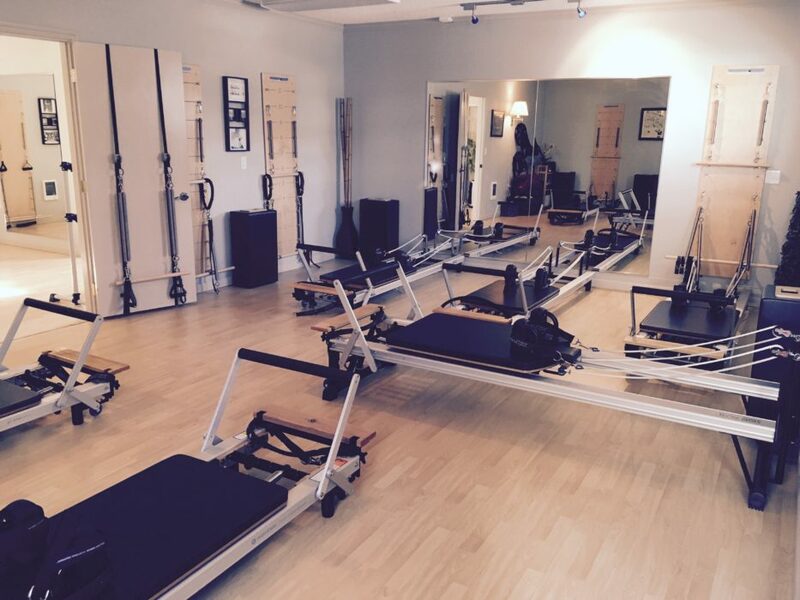 Pilates training on the Reformer helps strengthen the stabilizing muscles, while toning the entire body. The unique Pilates Reformer adds resistance to traditional Pilates exercises and sculpts a long and lean, toned, physique. One can work the abdominals and the upper body at the same time, making it a very effective and efficient form of exercise. Modifications are offered so you can work at your level. "In 10 sessions, you will feel a difference. In 20 sessions, you will see a difference. In 30 sessions, you will have a whole new body." Click here to email us, or send a message to clare@flourishpilates.com. WE ARE SEEKING A SUBSTITUTE STOTT PILATES INSTRUCTOR! Please contact the owner, Clare Baxter, about this great opportunity and e-mail your resume to clare@flourishpilates.com. Oregon Portrait Artist Cannon Artwork is located inside Flourish Pilates Studio.